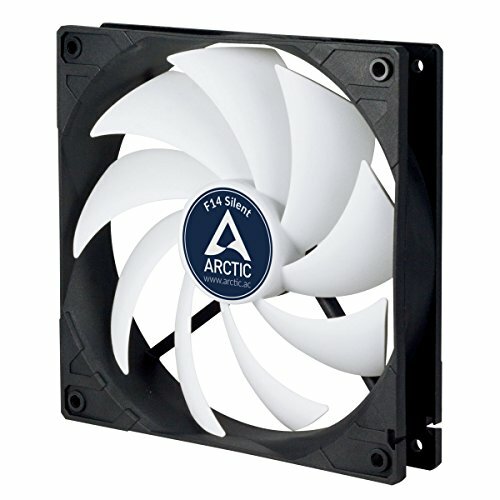 GREATER EFFICIENCY - LESS NOISE AT HIGHER AIRFLOW: At low fan speed, the motor noise is key. A motor developed in Germany with a new alloy/lubricant combination reduced friction and noise. INNOVATIVE DESIGN ENABLES QUIET AND EFFICIENT VENTILATION: The innovative design of the fan blades improves the airflow and facilitates a highly efficient ventilation. The impeller was designed with a focus on minimzing the noise level yet delivering the desired airflow and pressure. DIFFERENT INSTALLATION: Exhaust hot air out of the case. Intake cool air into the case. 3-pin connector for mainboard and power supply that also works with 4-pin headers. FAN SPEED: 800 RPM (@ 12V DC).